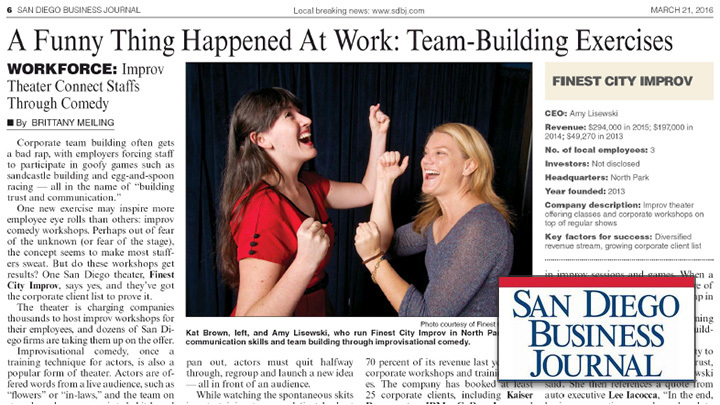 Brittany Meiling of the San Diego Business Journal sat down with us a few weeks ago to talk comedy and team building. In her piece for the San Diego Business Journal, she explains how our corporate team building programs are unique and effective. We were especially pleased to see our friends and clients from San Diego Trading Company and ensemble member Jacob Bruce, quoted in her story!